As a photographer I just love light! I love light shining thought trees, and over mountains. 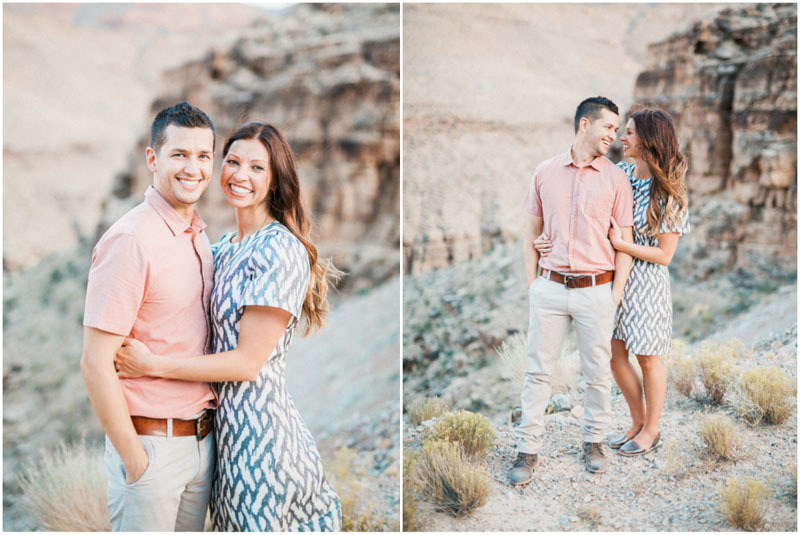 This engagement photo session with McKenzie and Adam provided some awesome light! 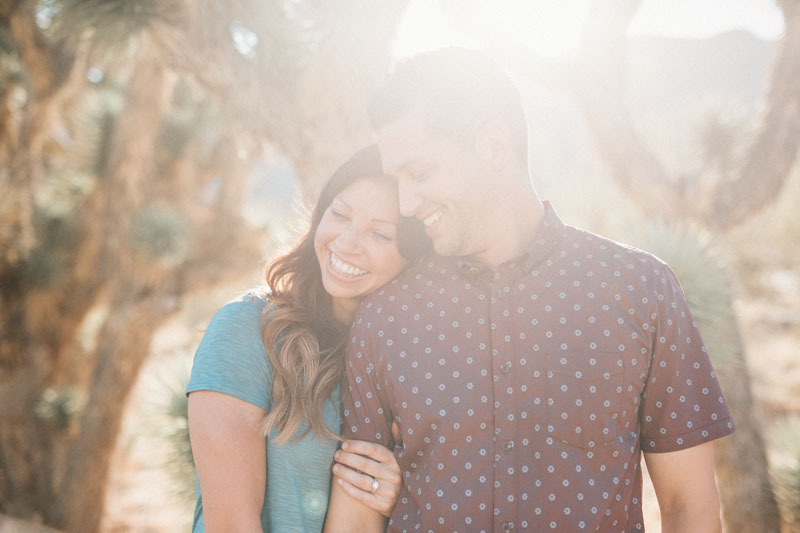 I love the sun shining through the Joshua Trees where we started their photo session. 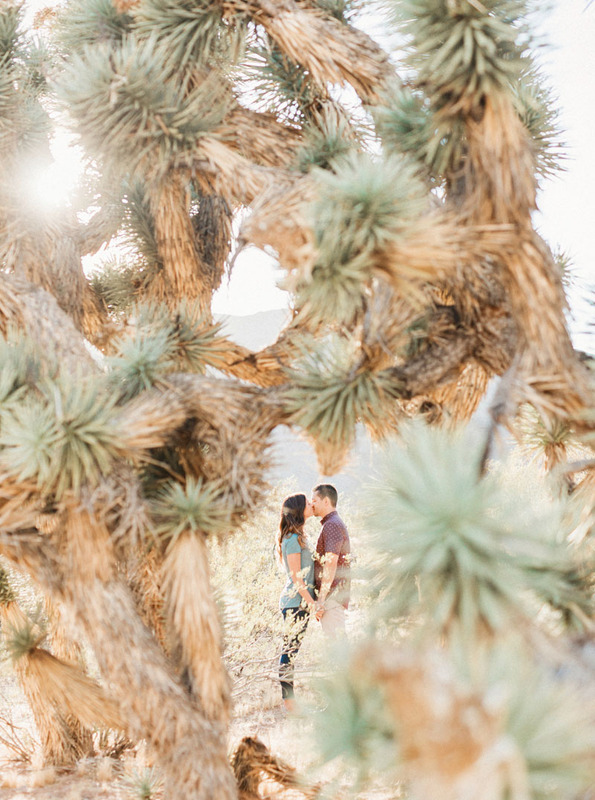 These trees really became the theme of our Joshua Tree Engagement. 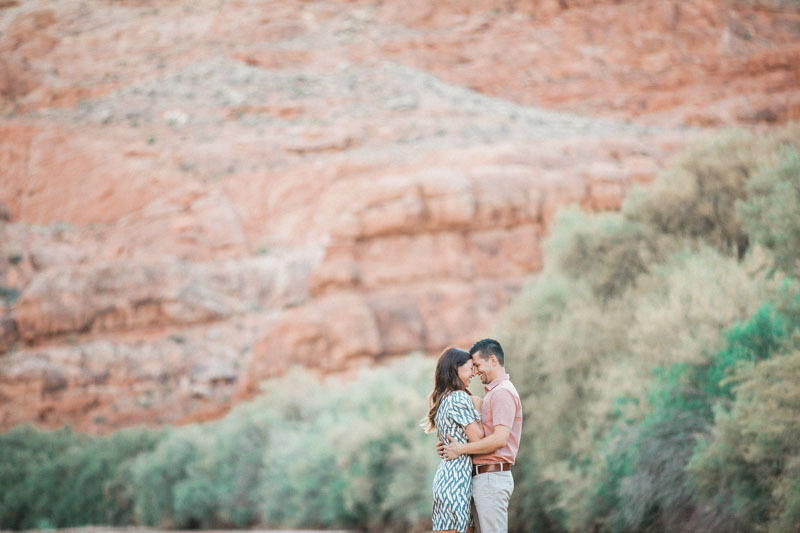 That being said, there were so many other amazing backdrops by the river! 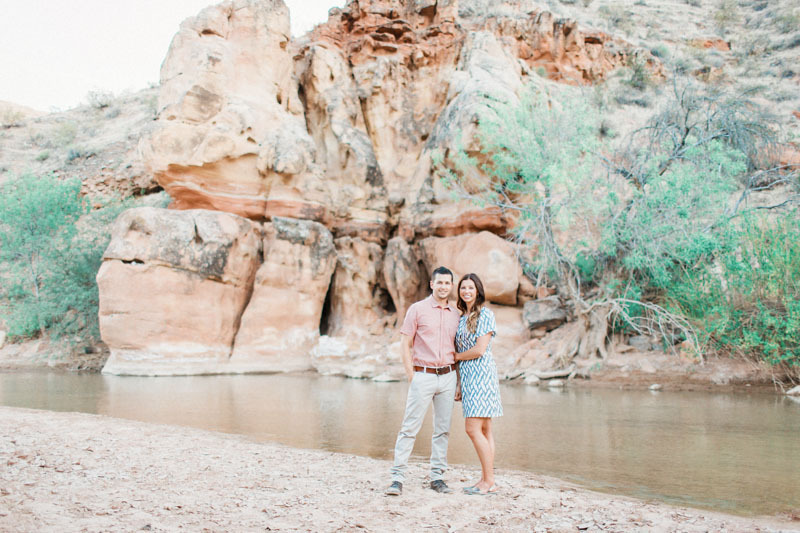 We made our way from the cactus like Joshua Trees to the river. The red rock cliffs mixed with the cool water from the river was so fun. We had a great time splashing around getting from spot to spot. I especially love the look of the red rock coming out of the water. That combo with the green in the background was just amazing! 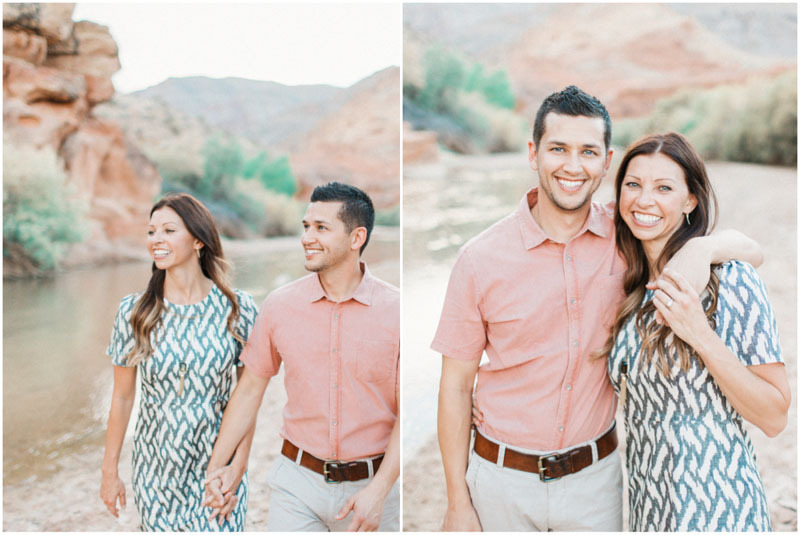 McKenzie and Adam might have two of the best smiles around. They were so fun to hang out with. I had an awesome time getting to know the two of them! 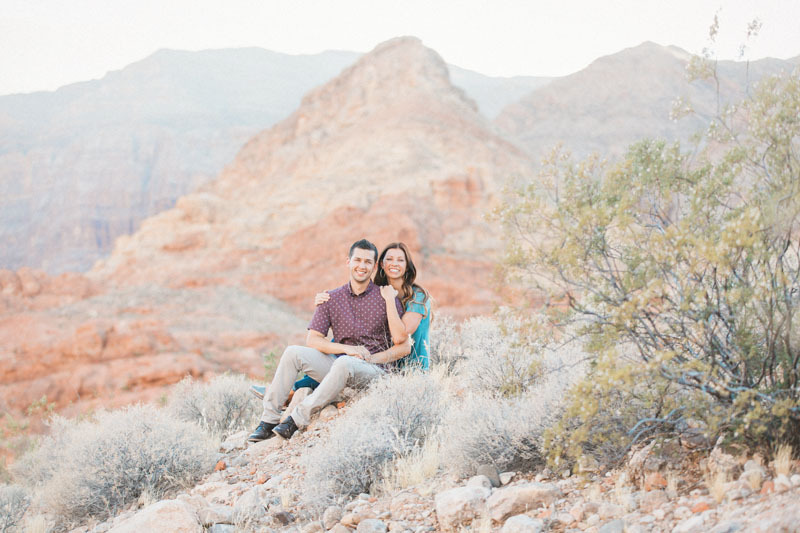 I loved some of the spectacular views we found for their engagement session. 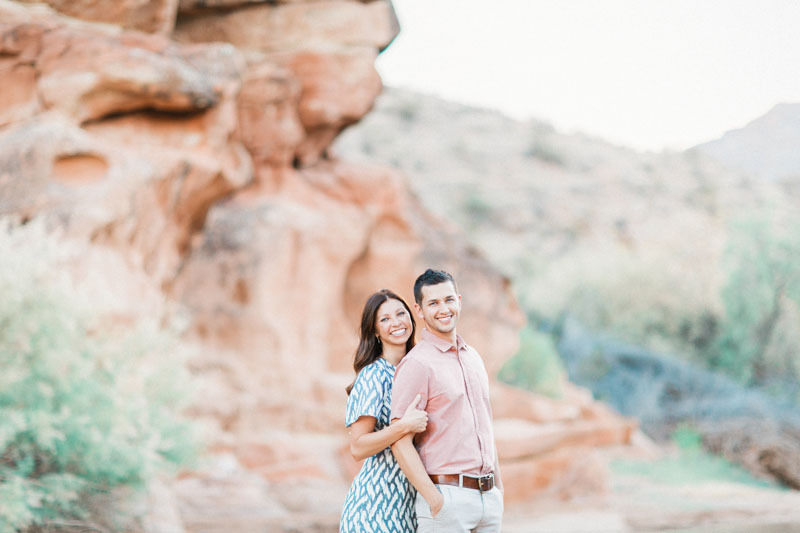 The desert provides so many fantastic textures and colors for a beautiful engagement session. 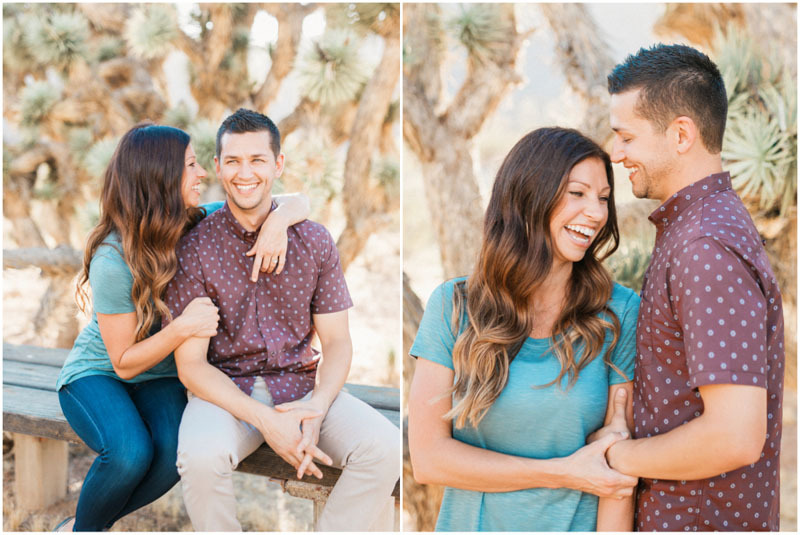 I especially enjoyed the Joshua Tree area for their photos!